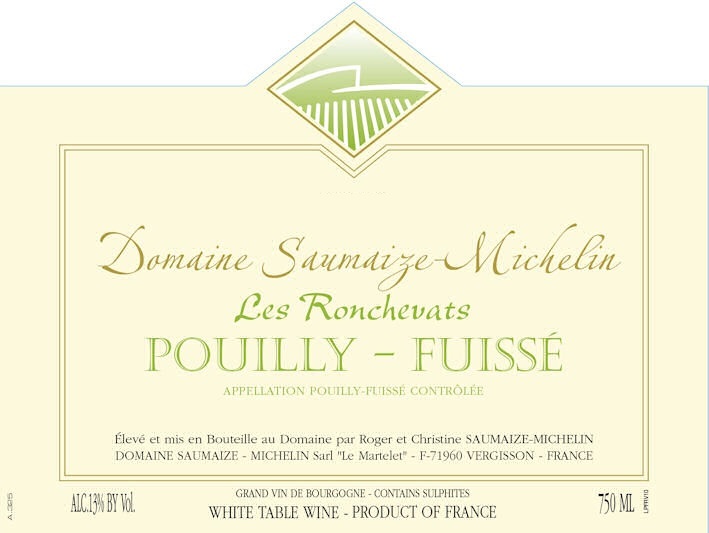 This family estate is owned by Roger and Christine Saumaize-Michelin and is located in the Village of Vergisson, the best of the five villages for Pouilly-Fuisse. The estate built new cellars in 1991 and uses 10 - 25% new oak per vintage. This 9 hectare estate is planted to 8.5 hectares of Chardonnay and half an hectare of Gamay for Macon Rouge. The vines are 40-45 years old of age on average. All of the wines are 100% barrel fermented and 100% M-L fermentation. Roger Saumaize makes about 3,800 cases of wine per year under three different appellations: Mâcon-Villages, St Véran and Pouilly-Fuisse.